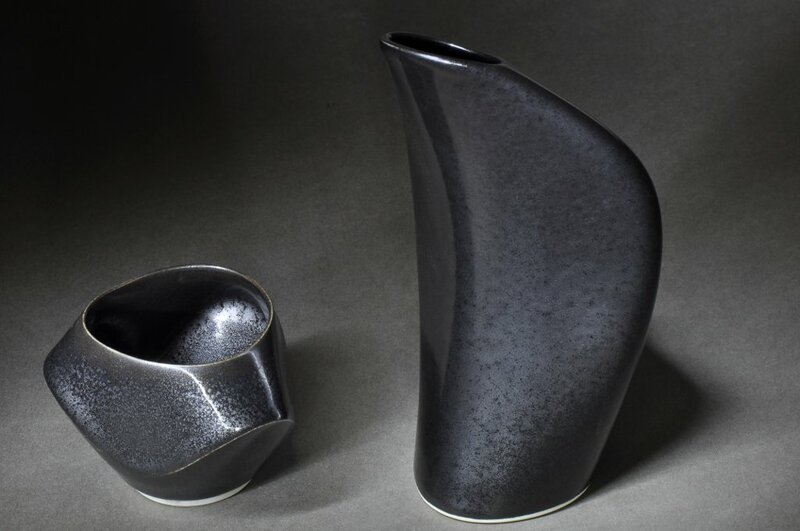 This tenmoku sake set created in 2012 consists of a flask, Arc, and three cups, Orbit, Wave and Cone. 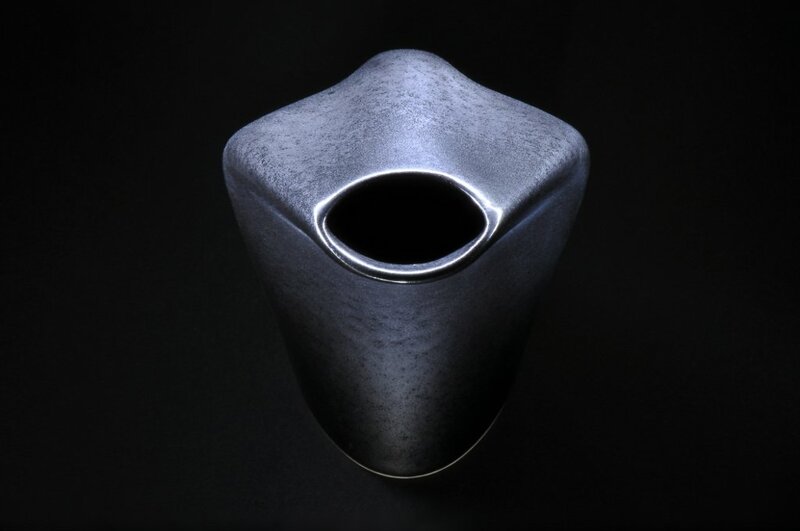 The forms of the vessels are informed by earlier works and continue the curvilinear theme with precise curving edges. 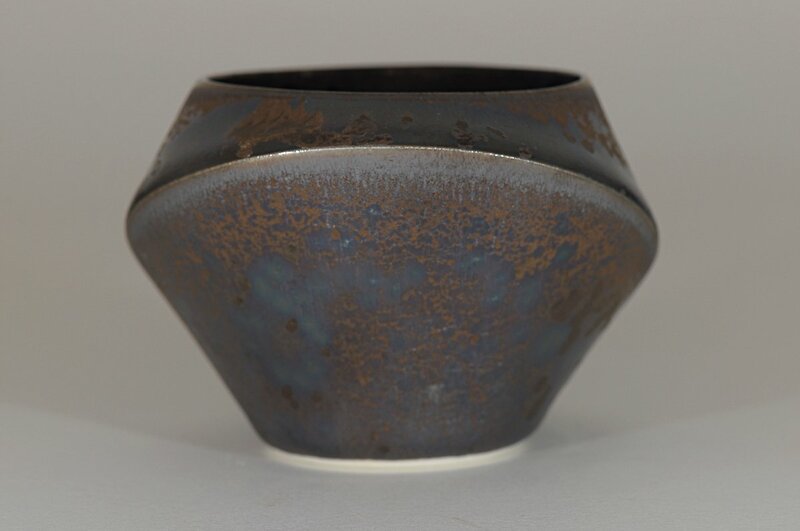 The cups are 7cms in diameter and 5.5cms high. 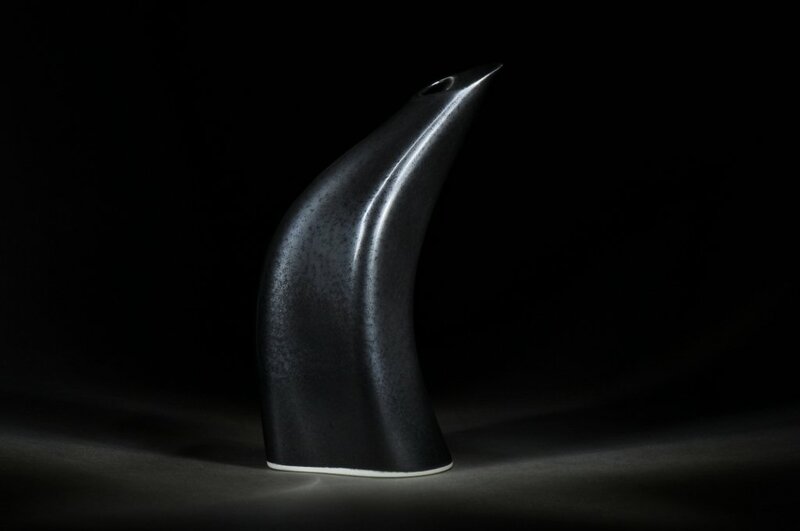 The flask is 16cms high, 7.5cms deep, 9cms wide and holds 300ml. 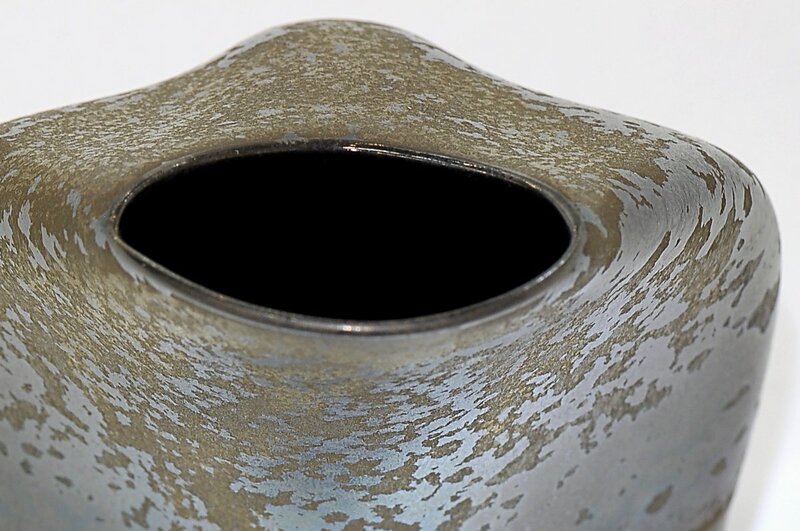 The walls are approximately 2mm thick. 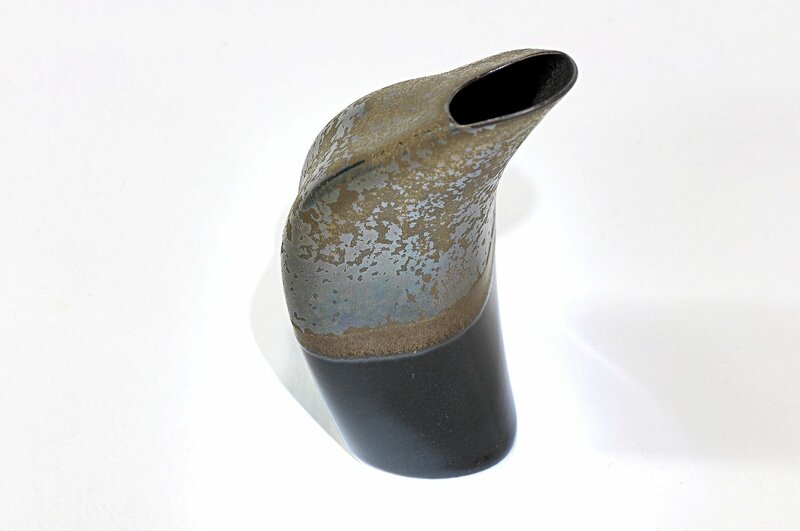 The pieces are light yet have the strength and durability afforded by this fine white stoneware clay. 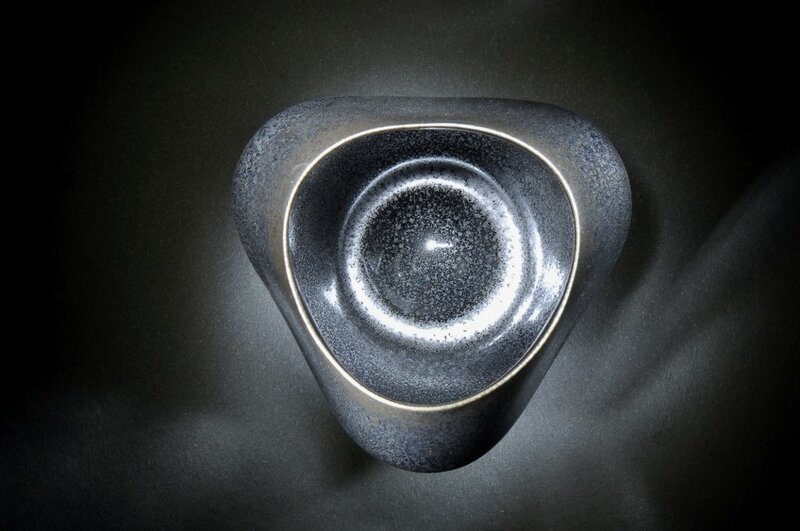 The set is also available in translucent white Southern Ice porcelain. 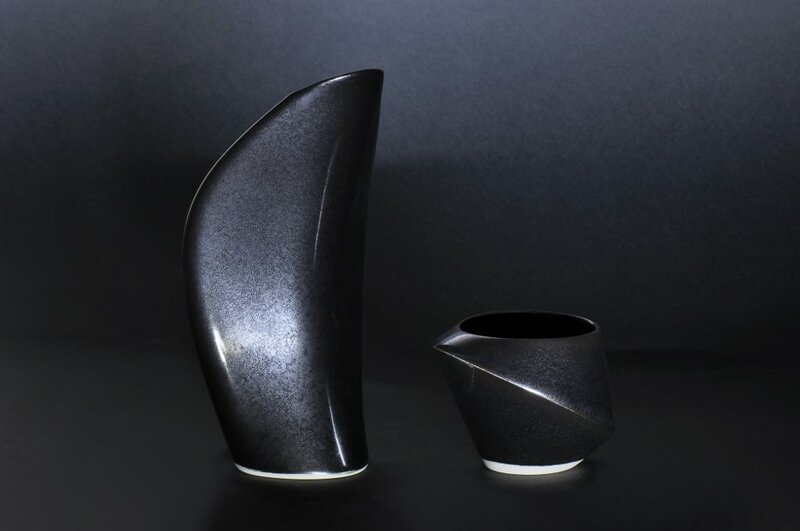 The works were first created in 3D modelling software prior to their rendering using rapid prototyping technology. 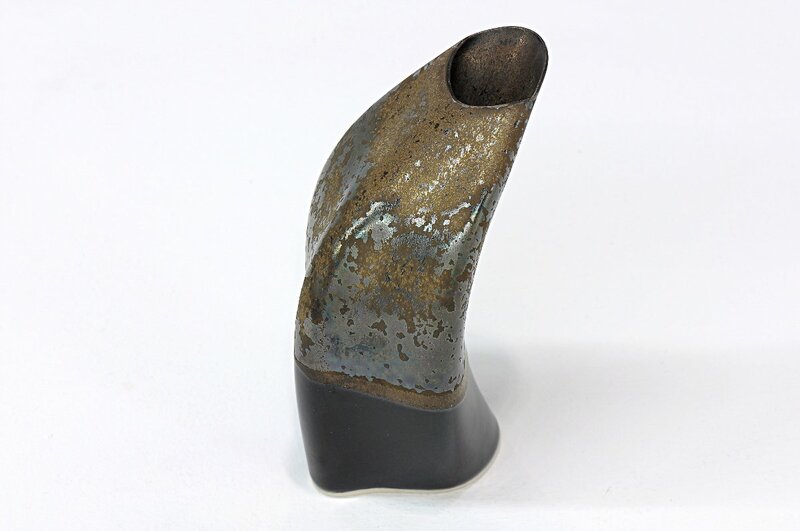 They are then slip cast. 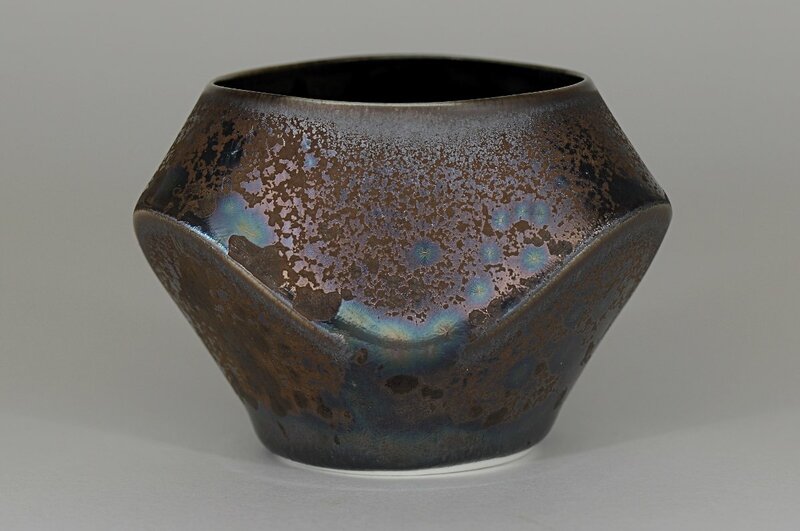 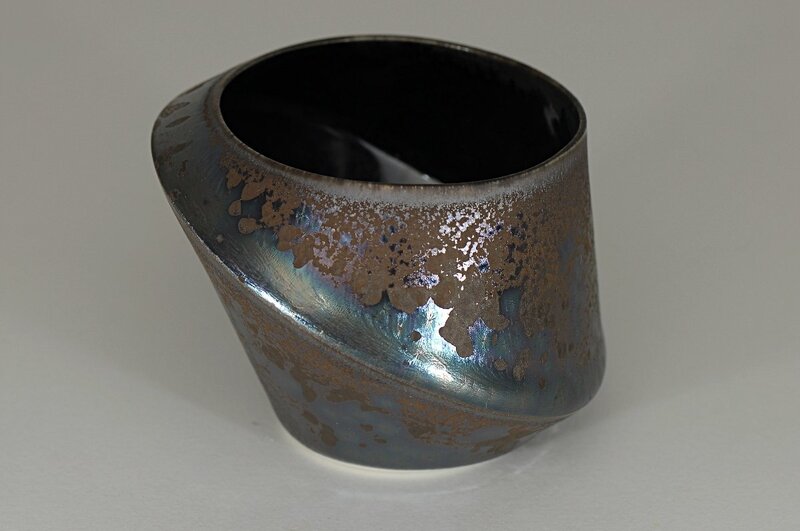 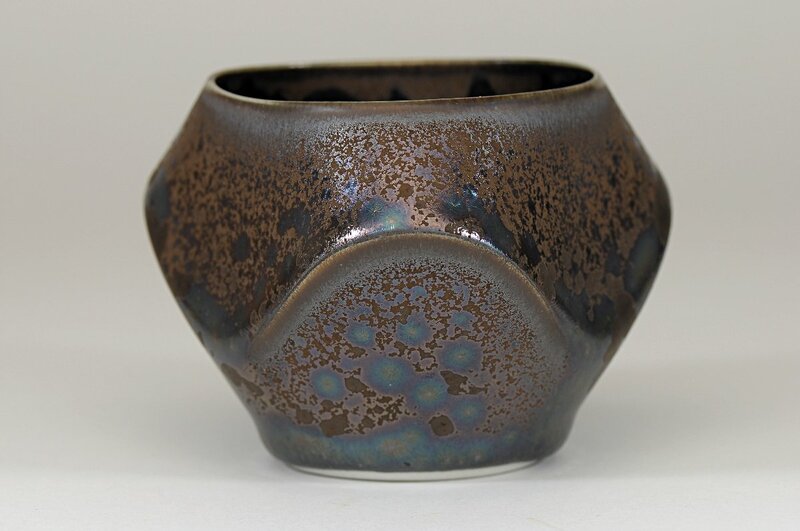 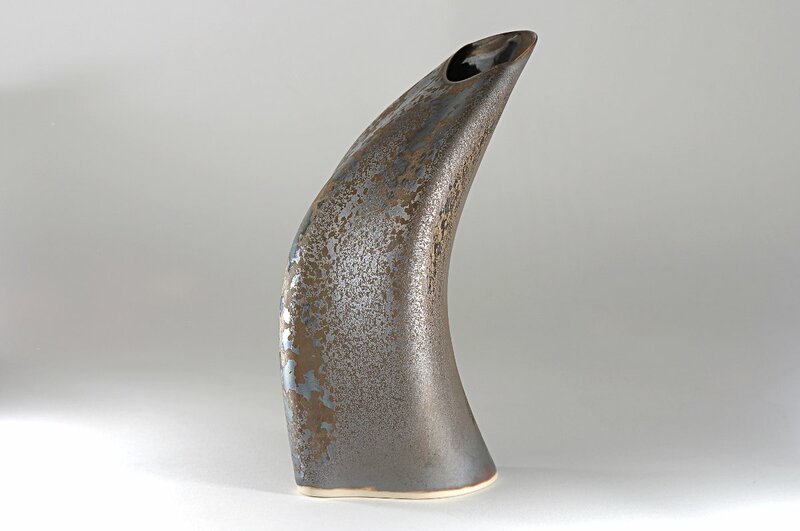 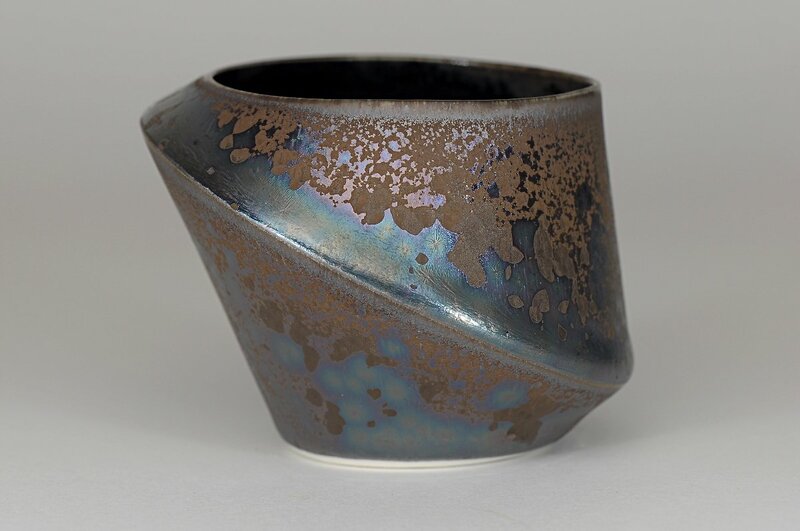 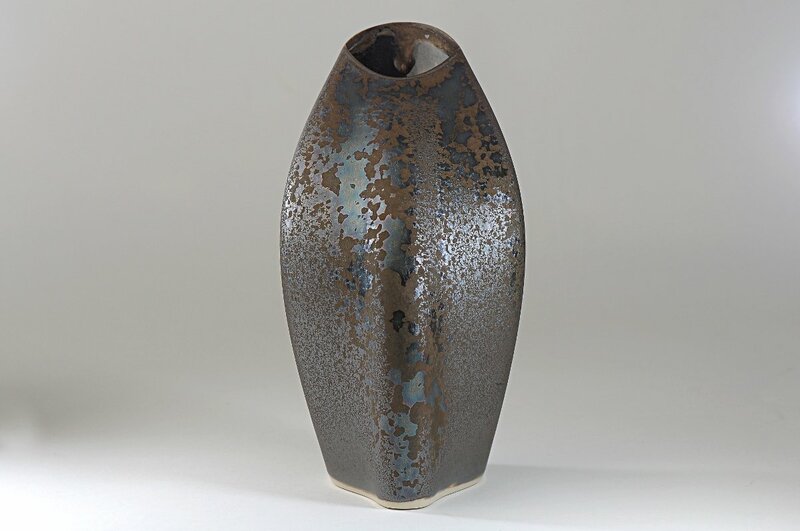 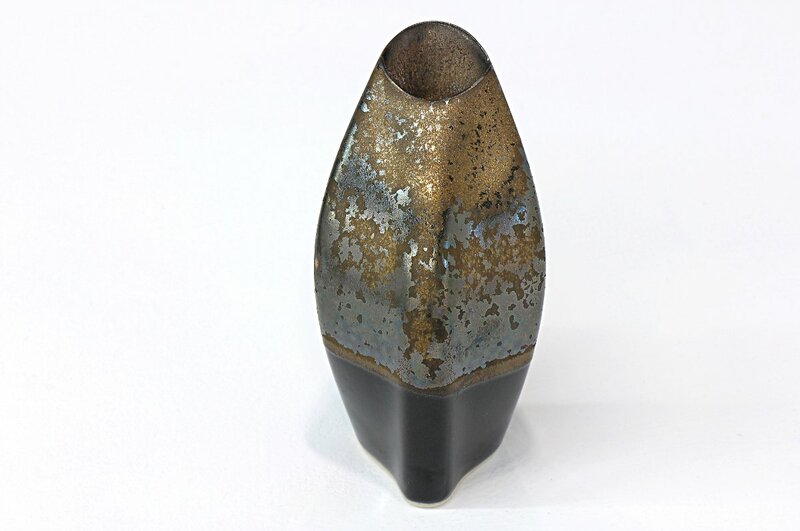 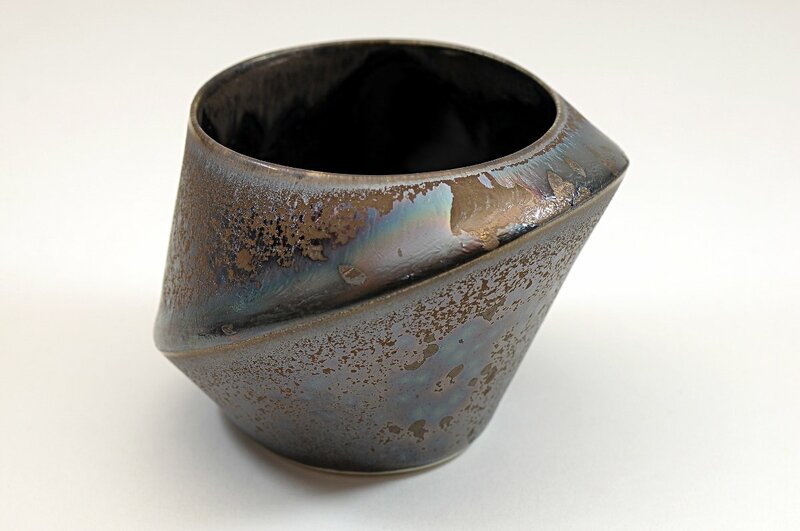 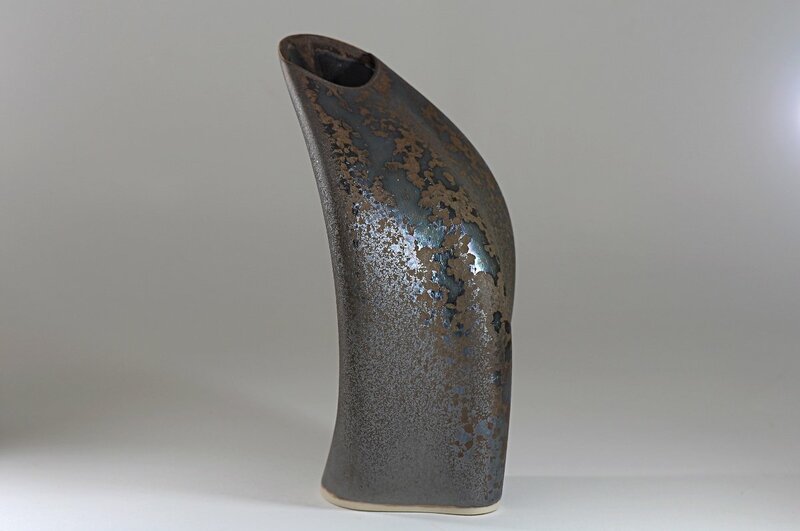 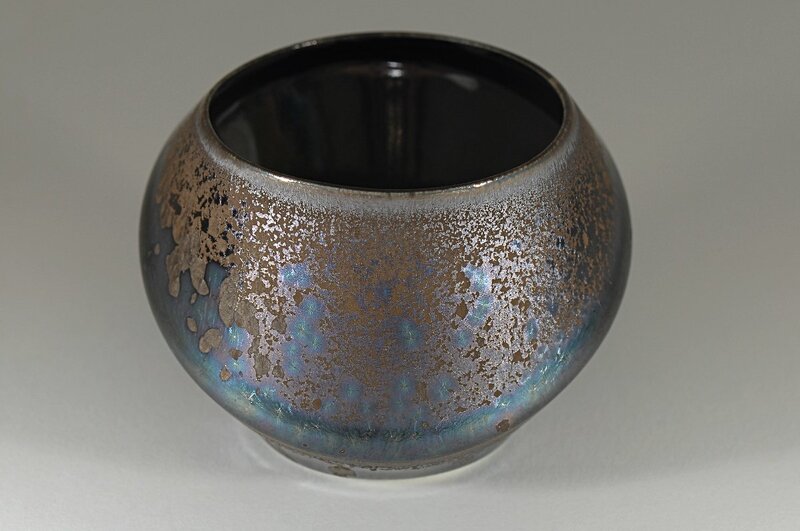 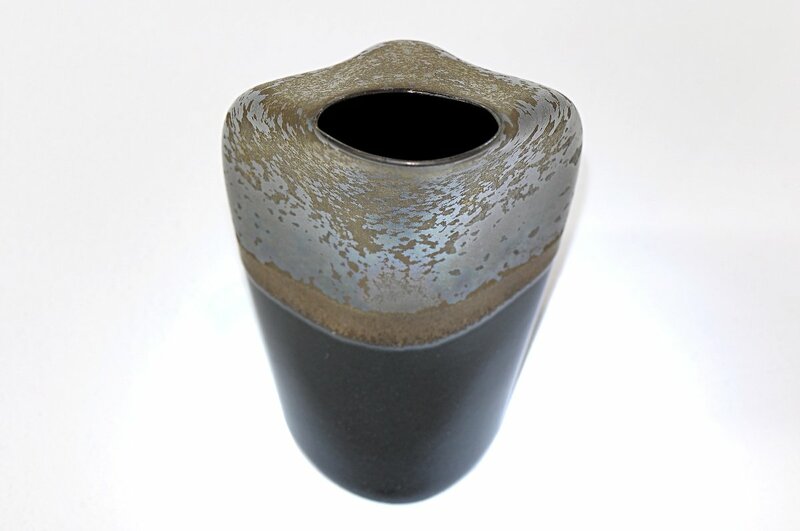 The pieces are glazed with two types of iron-saturated tenmoku glaze and fired in oxidation to 1300°C. 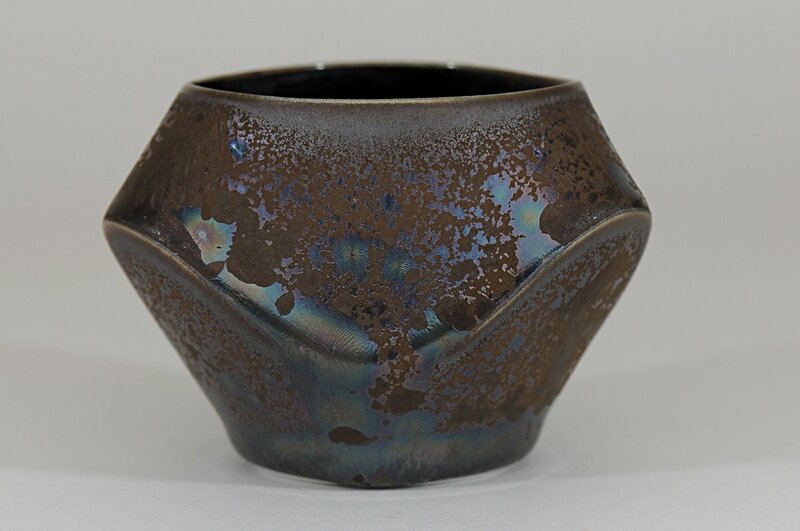 The glazes, which were selected to enhance the form, 'break' to transparent on rims and edges, appear brown where thin and produce silver crystals of magnetite in a blue/black ground where thicker. 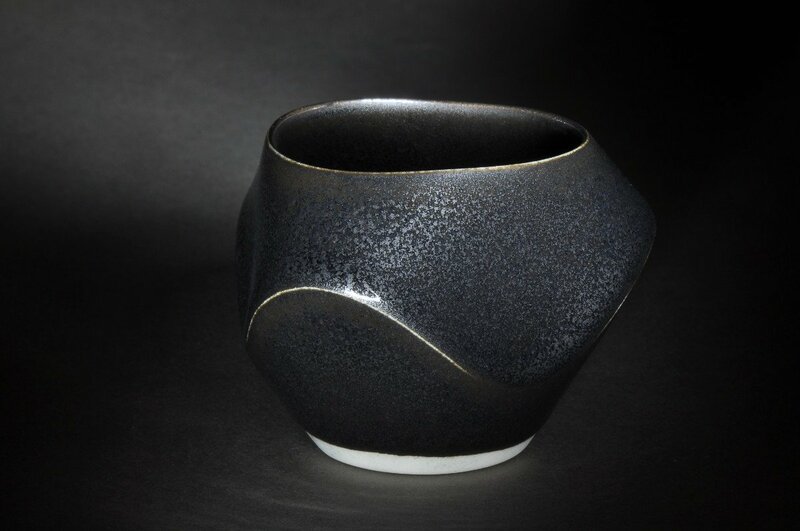 This sake set in Southern Ice porcelain. 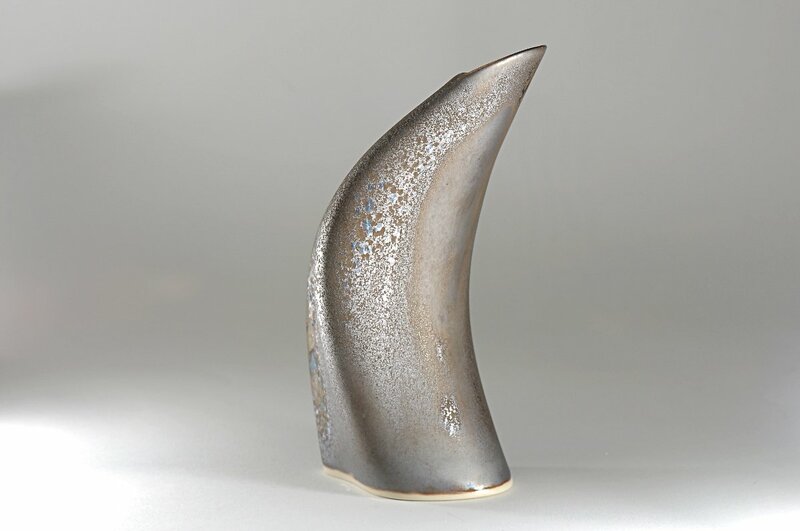 received the Best of Show award in the Rotary Art Spectacular, Brisbane in 2013.